"A large volume of high-quality research shows that unhealthy children grow up to be unhealthy adults, that poor health and low income go hand in hand, and that the consequences of both poverty and poor health make large demands on public coffers. Thus promoting children’s health is essential for improving the population’s health; policies to prevent children’s health problems can be wise investments; and policy makers should implement carefully designed policies and programs to promote child health." 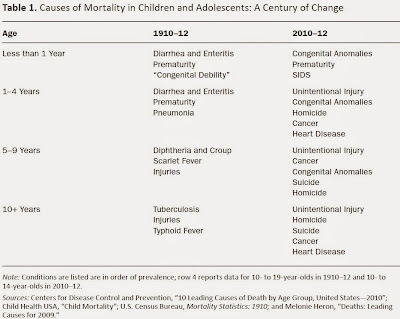 Thus say Janet Currie and Nancy Reichman in their introductory essay to the Spring 2015 issue of Future of Childen, which features eight other articles on the theme of "Policies to Promote Child Health." Sara Rosenbaum and Robert Blum lead off with an essay, "How Healthy Are Our Children?" 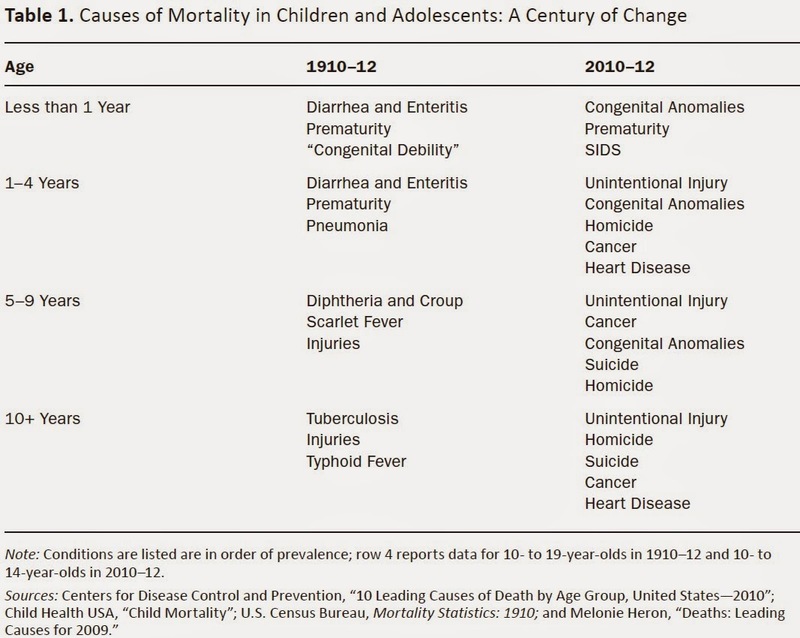 Here's a thought-provoking table of the main causes of child mortality in the US a century ago, as compared with today. The entries of the table for a century ago help to define some past successes, while the entries for the present point to current challenges. Of course, access to health insurance remains important. Several recent research studies have used administrative evidence on access to Medicaid over time to see if children from low-income families who had access to Medicaid are different in adulthood from children who didn't have access to Medicaid. For example there was a large expansion in Medicaid coverage that applied only to children born after September 30, 1983. 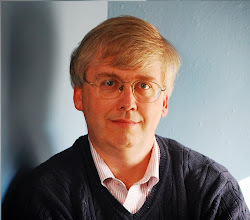 Thus, one can reasonably compare children from low-income families born just before this cutoff date to those born just after, and it turn out that the children from low-income families who had more access to Medicaid turn out to have fewer emergency-room visit and lower hospitalizations rates as adults. Another study looked compared children from low-income families who lived in certain states and certain time periods where the eligibility rules made them less likely to get Medicaid coverage to similar children from low-income families who lived in states and during time periods where Medicaid coverage was more like. (Medicaid rules and eligibility vary in meaningful ways across states and over time.) They found that tax payments are higher in the future for those who had Medicaid coverage, and conclude that "the [federal] government will recoup 56 cents of each dollar spent on childhood Medicaid by the time these children reach age 60." Overall, the state of this debate seems to be that there are lots of studies showing factors that are correlated with greater risks to childhood health, and there are a growing number of studies showing the long-term benefits from taking steps to reduce these risk factors. But these studies haven't really been pulled together to form a cohesive whole, or to have a sense of what the top public priorities should be. Currie and Reichman write in their introduction: "We suspect that, for many dimensions of child health, an ounce of prevention would be worth a pound of cure, but it’s difficult to prove this without hard evidence on the costs and benefits of different approaches."